But it’s a very esoteric thing to get quite so excited about. Here’s why we’re so pleased about this new step, and its effect on the curious, rarefied world of Bid/Offer Acceptances, or BOAs. When Flexitricity started operating industrial and commercial flexible energy resources, it was as an aggregated resource which we would tender into relatively simple reserve and frequency response contracts. In a market full of large, old, wobbly power stations, and demand which would peak 30% higher than today, our job was to respond quickly to big events. A power station somewhere would sit down, or an interconnector would disconnect, and we would quickly drop load at energy-using sites, turn up CHP generation, and if needed, start standby diesels. We still do that, because those events still happen. The contracts are a little more complicated, but the basic idea is as simple as it always was: we provide “availability”, which means megawatts ready to deliver, and if something happens, we provide “utilisation” – real energy to fill the hole. We also do it upside down, for when there’s too much electricity going into the system rather than not enough. But it’s sunny today. At lunchtime, solar energy displaced almost 5GW of generation that would otherwise have come from coal (as I type, most of the gas capacity is already running). This resource didn’t exist ten years ago. Neither did the wind farms, which right now are tailing down from around 15GW which they hit at teatime yesterday. They will still deliver maybe 7GW into the peak tonight. Renewable energy obeys different rules to conventional power. Renewables vary with the weather, in a predictable way but with limited control (you can turn them down, but generally not up). Thermal power stations run to schedules and instructions, except on the occasions when they fall flat and deliver nothing. As we shift away from fossil-burners and towards green resources, balancing is changing. That’s why BOAs matter, and that’s why National Grid’s Distributed Resources Desk is key to making BOAs work for a greener, user-led energy system. Bid to buy, offer to sell. And always give the option to reverse out. These are the principles behind Bid/Offer Acceptances, which are the elements of transaction in the real-time, ad-hoc electricity market known as the Balancing Mechanism (BM). When more electricity is needed, National Grid accepts an offer, which instructs either a power station to generate more, or a flexible customer to consume less. If less electricity is needed, National Grid accepts a bid, and either a power station will turn down or a flexible customer will consume more. Bids and offers always go in pairs, so that BOAs can be reversed. Every time you offer electricity, you must also bid to buy it back, and vice versa. This is a fundamental component of the BM – if National Grid accepts an offer, buying some extra electricity for half an hour, and then discovers twenty minutes in that it’s got too much, it can accept the corresponding bid. That takes the resource back to where it was before the BOA happened. The BM is about bringing what you have to market. This is why BOAs always start from wherever you are, and whatever your schedule says you’re going to do. Your schedule, in this case, is called your Final Physical Notification, or FPN – it’s a statement of intent covering the next hour and a half. If you were planning to ramp up your CHP generators starting at 7am, National Grid can use a BOA to get you to start a few minutes early, at a price which suits your site. If your cold store was already chilly enough and you were planning to ramp down consumption, National Grid can use a BOA to keep the fridge plant running. You’ll overchill the frozen peas by a fraction of a degree, but you’ll earn from doing so. Plus you’ll be able to change your schedule for later in the day, taking advantage of that extra “coolth”. It's also about setting your own limits. If your asset is a battery, you can ramp as fast as anything on the market, which could give a price advantage in fast-moving events. But you still need to watch the state of charge and the cycling, so you can put limits on that. Similarly, CHPs generally don’t like heat dumping, and they really hate letting heat customers down. Offers and bids made in the BM can take account of space in the heat store and the heat needs of the customers. The language of bids and offers, and the flexibility to choose, spills beyond the BM’s ninety-minute boundary. Our policy is that anyone in the BM should have full access to the day-ahead energy auctions and within-day trading opportunities. The best balance between forward planning and short-term opportunities is different for every site. In fact, for some customers, day-ahead auctions are as close as they want to get to real-time energy trades. For them, there’s still an option to gain some of the BM value indirectly, by responding to expected peaks in imbalance prices. This has the nickname “NIV chasing”, after the Net Imbalance Volume, a measure of how much work National Grid has to do in the BM to keep supply and demand in balance. NIV is one indicator of possible imbalance prices, but not the only one. A fully-staffed control room is still essential to success, along with fast data analysis. It’s either/or: when a site is ready for the BM, it’s time to set NIV-chasing aside. BOAs only come to those who post their data correctly. Feeding the correct information into National Grid, accurately and in the right timescales, is a mind-bogglingly complex process. Grid Code and the Balancing and Settlement Code both apply. While initiatives like BM-Lite and Project TERRE will reduce some of the IT overhead, it’s still only tractable for a real-time control room with the right systems and resources. The same is true at the other end – unpicking all of the options and choosing the best one to dispatch is one of National Grid’s biggest puzzles. It’s a puzzle they have to solve several thousand times a day. That’s why this new desk matters. Distributed resources are by nature small in size but large in number. Aggregation can help here, by turning small into big. But even so, it’s easy for flexible customers to get lost in the noise of the 660MW coal units. This new desk only has one job: to use flexible, distributed resources when they’re the best option in the market at the time. And it’s working. We’ve seen BOAs every day since the Distributed Resource Desk launched – sometimes several BOAs in one day. It's been hard work to get here, but it’s worth it. Forward-contracted reserve and response services have a strong role in the energy future, but the Balancing Mechanism is where the growth is. It’s also the best place for energy users who want to be flexible about their flexibility. Unlike STOR and frequency response, it’s easy to take an hour off (or a day or a week) and come straight back when it suits the site. Get yourself over to www.bmreports.com, and choose “Balancing”, followed by “Detailed System Prices”. Choose any date and settlement period you like, then click “View”. Have a look at the Buy Stack, which records National Grid’s decisions to accept offers to sell electricity. Click onto the Sell Stack, where you’ll find National Grid’s acceptances of bids to buy electricity. These correspond to turning generation up or down, or turning demand down or up. Notice how power station names are encoded in the ID column. For example, Drax Unit 1 is called T_DRAXX-1. Pick any station you like, and remember its name. Insert the ID in the BM Unit ID box, and click “Physical”. Choose any date you like. That tells you everything your chosen power station was supposed to be doing on that day. If you’ve chosen something flexible, you’re likely to see how BOAs (the red lines) work as ad-hoc instructions to turn up and down, sometimes many times in one day. Sometimes the instructions are reversed out, and sometimes they are extended or adjusted. This is real life in real-time electricity. 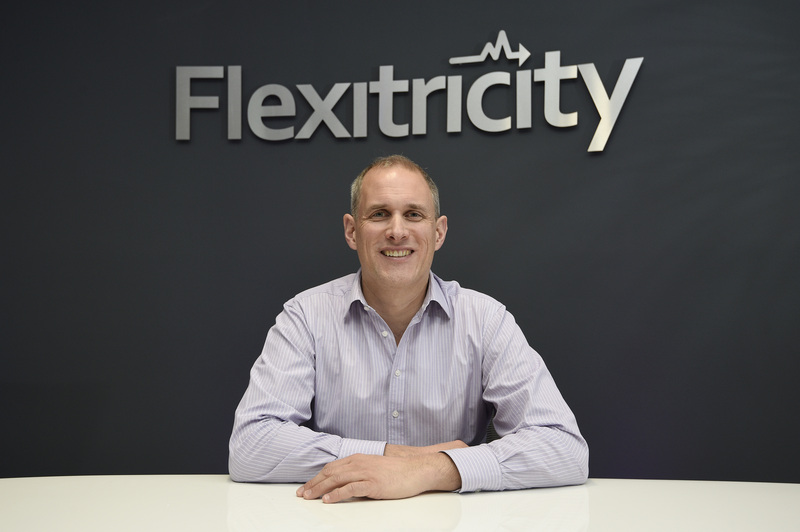 Bringing distributed, flexible energy into this market is Flexitricity’s mission. Our electricity customers are now on tap at National Grid’s new distributed resource desk, right in the heart of energy balancing.